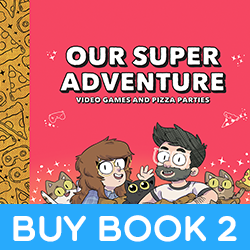 From my book Video Games and Pizza Parties! 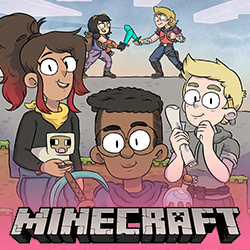 There’s officially less than a day to go! 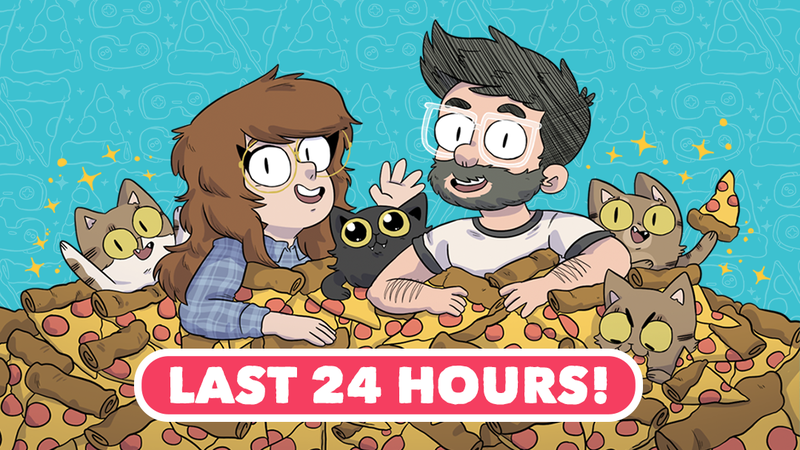 The Kickstarter ends on Wednesday at 6pm BST! 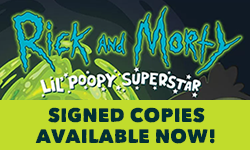 This is your last chance to get the book with a bunch of Kickstarter-exclusive extras! 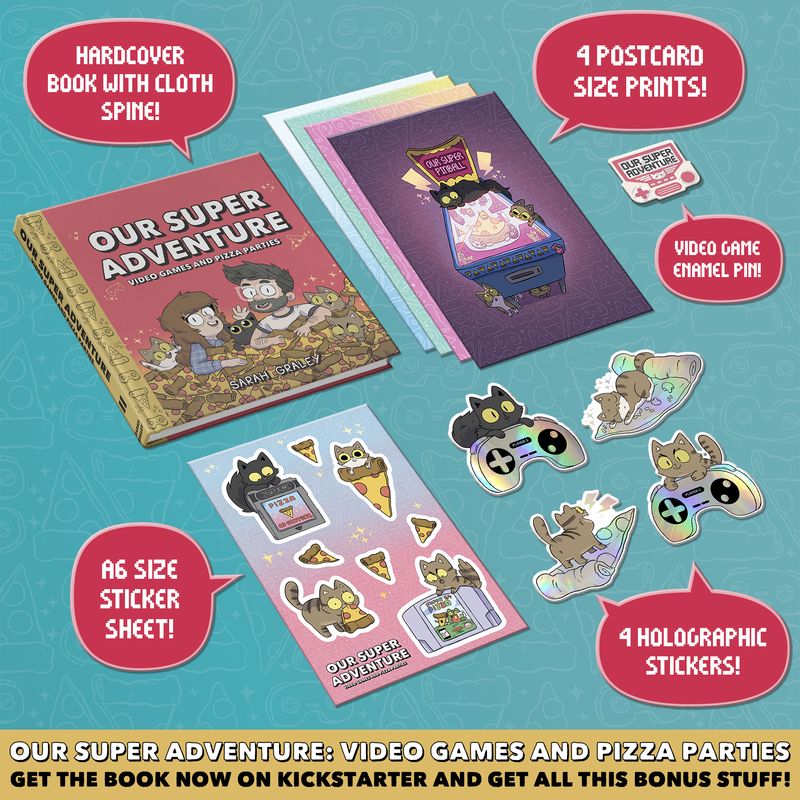 The holographic stickers, postcards, sticker sheet and Our Super Adventure Video Games enamel pin are all exclusive to this campaign, and ALL rewards that include the physical book come with them! 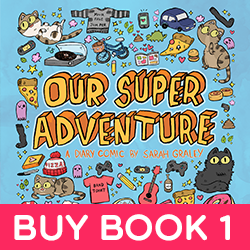 Also, this is the last daily Our Super Adventure for the Kickstarter campaign! I’ll be back to posting on Fridays on Patreon and Monday on the main site. 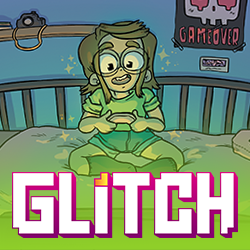 Thanks so much for all the support during the Kickstarter! 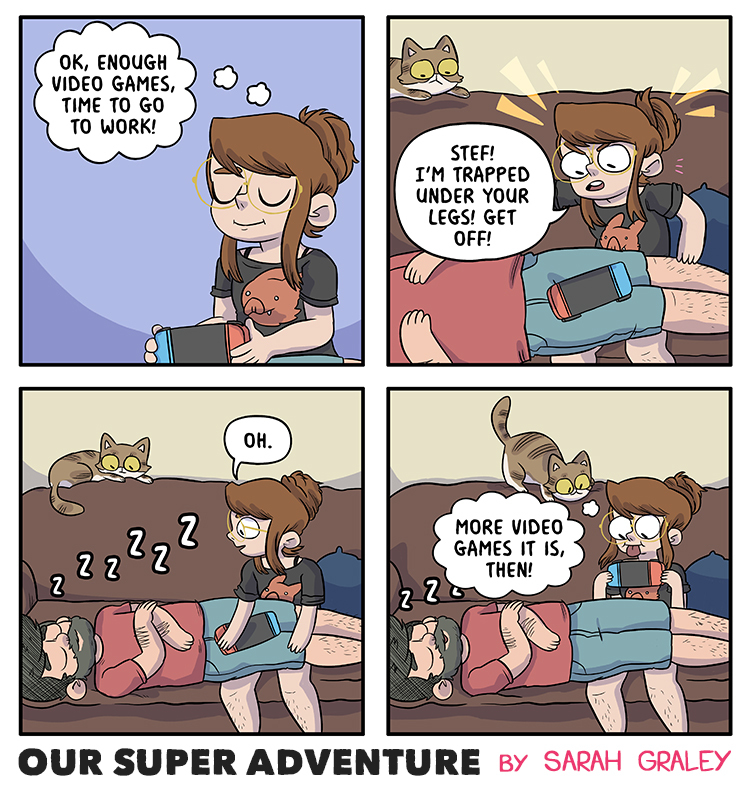 It’s been super fun posting a comic more regularly! it’s been six days. how long has Stef been sleeping there?